DENVER -- It’s the viral video with nearly 1 million YouTube views in three days. In the LoHi neighborhood of Denver on Sunday, a skateboarder is nearly hit by the driver of a McLaren as the driver rolls the stop sign. 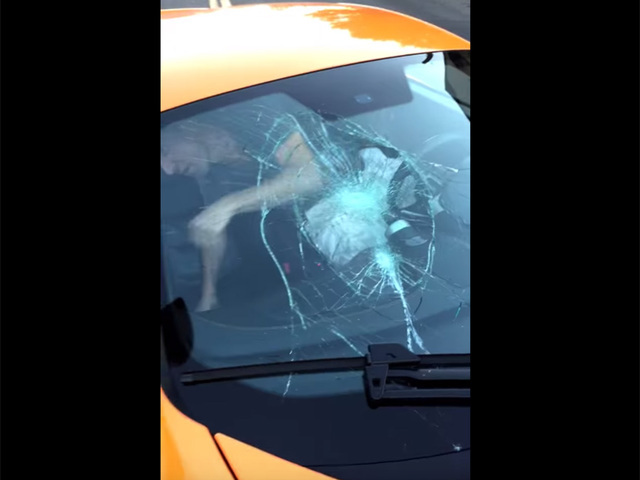 The incident upset the skateboarder enough to walk around the car and smash the windshield of the $250,000 rare sports car with his skateboard, before running off. The passenger of the McLaren chases the skateboarder off. Witnesses told Denver7 the passenger finally caught up to him three blocks away. For those working around the area, the incident was the talk of the town that night. “It was a super busy line, so we had quite a few people that witnessed it," said Michaela Ladenburger, who was working at Little Man Ice Cream at the time. “You could hear the whole line, like everyone was like "Oh my god, is this happening? Did you see that?" But those like Dave Baraglia, who owns a business at that corner, said they’re surprised something like this didn’t happen sooner. Baraglia said a lot of people ignore the stop signs there. “I would say almost on a daily basis we see multiple [incidences], whether they're on their bike, skateboard, or vehicles, it's like Dave said, it's basically the stop sign here is stopping optional." We checked with two exotic car dealers in Denver and nobody sells a McLaren in Colorado. McLaren of Dallas, in Texas, told Denver7 a replacement windshield with labor runs about $4,500.